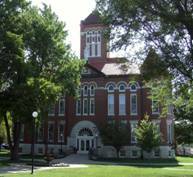 The following lists are a sampling of the many ways that your local county government serves the residents of Anderson County, Kansas. Provide details of residential and commercial properties, such as area, age, number of bedrooms, etc. Close roads when required from flood, tornado, accidents, etc.